I was looking for contrast in color but the ultimate contrast for me is the contrast between black and white. I started by tearing tape, sticking it on black fabric and painting the open spaces with white acrylic paint. 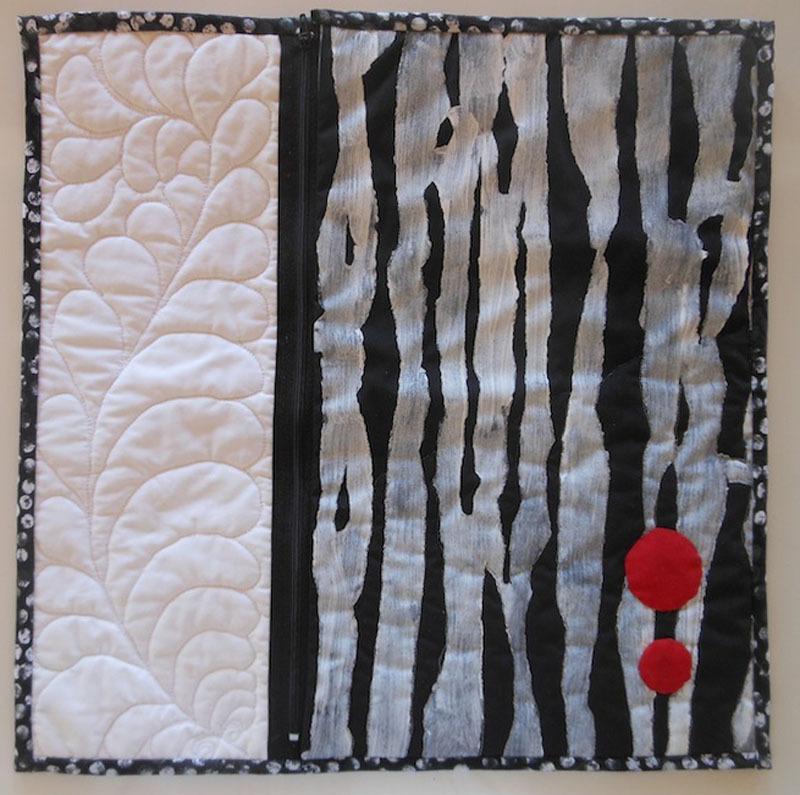 The next contrast I wanted to use was the contrast between traditional and modern quilting, so the quilted feather design next to the painted and free motion quilted lines. The third contrast is the 2D and a kind of 3D dimension of the work. 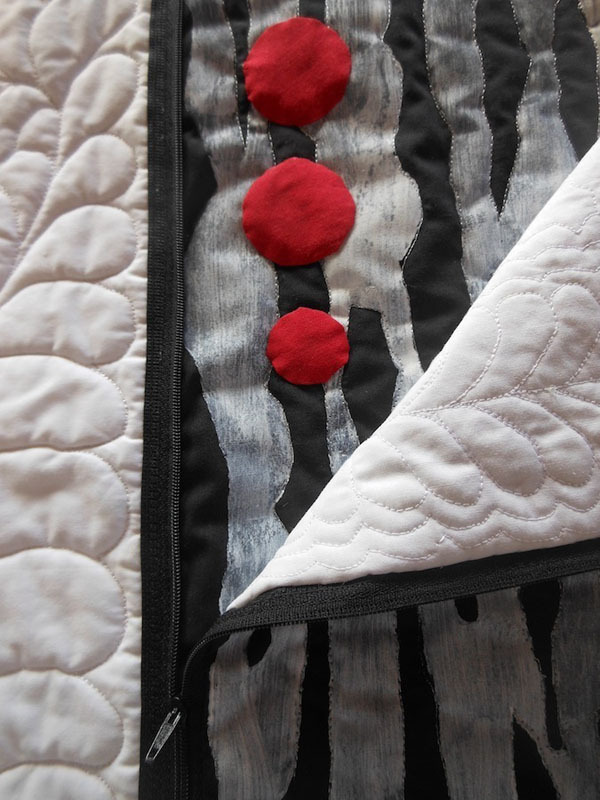 The top layer is painted again, but the inside is feather quilted. This top layer is connected to the bottom layer with a zipper. When the zipper is closed it is a 2 dimensional piece, with the zipper partly open it comes a bit off the wall. 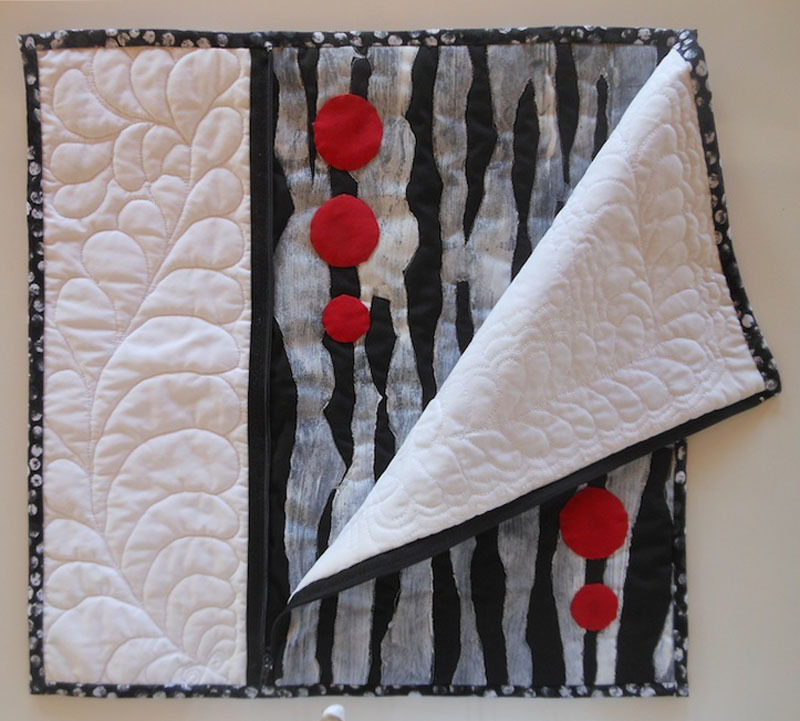 The red appliqué dots on the inside and the outside intensify, in my opinion, the black and white contrast. Els—What an imaginative piece. I love all the layers of meaning that you put into this piece. Aha! I enjoyed your blog posts about this piece, Els. 🙂 Clever construction adds to the fun of the contrasting shapes and colours. Really great!